BlackBeltHelp is pleased to announce a strategic business partnership with eThink Education, a world-class eLearning provider. IL, October 2018: eThink Education provides a fully-managed eLearning solution for open-source Moodle, covering all Learning Management System (LMS) needs including implementation, cloud hosting, integration, consultation, and management services. eThink’s service-heavy, consultative approach enables clients to customize their online platform to meet their unique need sets. BlackBeltHelp’s solutions are designed to meet the challenges of an evolving higher education landscape that includes newer technologies, declining support budgets, and rising student expectations. 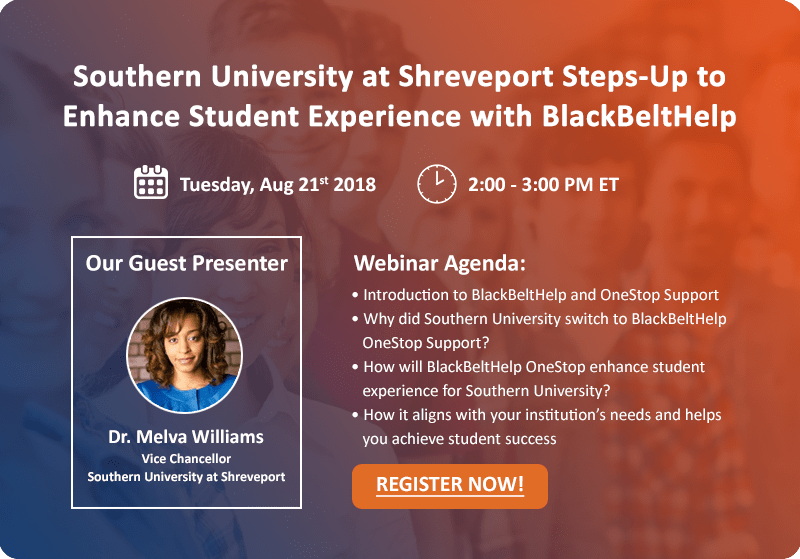 With over 200 higher education clients across US and Canada, BlackBeltHelp provides higher-ed institutions customized, round-the-clock hi-tech ERP, SIS, and LMS help desk support. The partnership with eThink will cover Tier 1, 24/7 end-user support. Through this partnership, both the companies hope to serve their user institutions better by referring each other’s cost-effective and high-quality solutions to their clients and sharing the best practices for LMS support. BlackBeltHelp and eThink clients alike can benefit from each company’s services which means better customer experience for the end-users and greater customer success for both parties. “BlackBeltHelp provides an array of other student services and applications including comprehensive IT support for a number of LMSs”, said Tracy Thomson, President at BlackBeltHelp. “By partnering with eThink we will be able to add premium quality Tier 1 LMS help desk support for end users to eThink’s world-class LMS experience,” she further added. eThink Education provides a fully-managed eLearning solution including implementation, cloud hosting, integration, consultation, and management services for open-source Moodle and Totara. Managed by experts, eThink’s total solution provides a dynamic and customizable platform to meet specific institutional and organizational needs. With clients in various industries including Healthcare, Education, Nonprofit, Government, and Corporate, eThink can help all types of organizations to maximize the effectiveness of their eLearning programs for improved business outcomes. For more information, please visit www.ethinkeducation.co. BlackBeltHelp is a 100% higher-education focused, one-stop student services provider. BlackBeltHelp provides a positive support experience to approx. 400,00 students with 1 million Interactions every year by leveraging innovative technologies like Artificial Intelligence, Business Process Automation, Analytics & Reporting. It provides comprehensive, centralized support for an array of student services ranging from IT, LMS, admissions & enrollment, financial aid, retention, advising to facilities and switchboard. Visit www.blackbelthelp.com to know more.